It's time for another challenge over at A Gem of a Challenge, and this week (Challenge #91) the theme is "Pearls", which can include anything pearlescent, be it paints, papers, embellishments, etc. 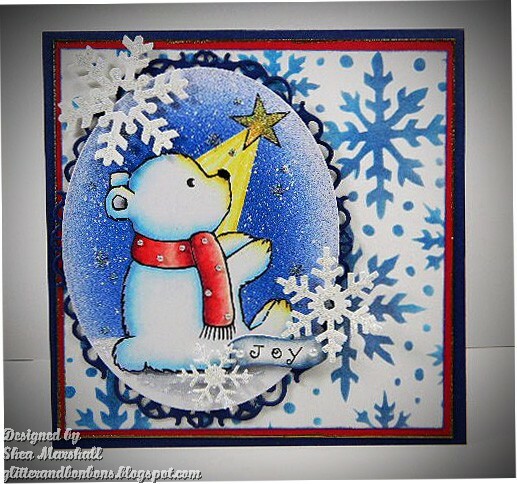 This challenge will run from 8:00 AM August 3, to 6:00 PM August 9, and the prize for the winner will be 2 individual digi images (NOT SETS) from Pink Gem Designs. So do head on over and see what the rest of the lovely Design Team have created, then join us, won't you? We'd love to see you! For this card I used the adorable PGD stamp "Baby Polar Bear." Isn't she just the sweetest thing? 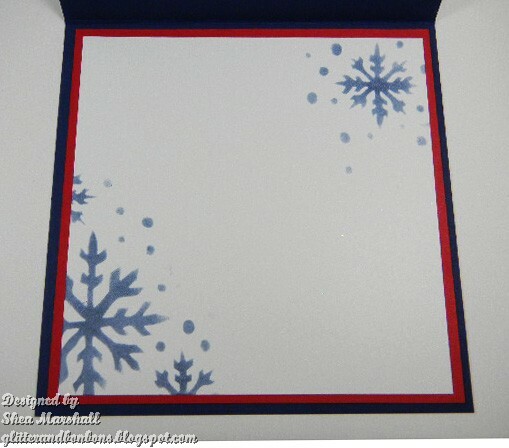 For the white base layer I sponged two colors of blue ink through a snowflake stencil. OK, I'll confess - I used the wrong color of blue ink and redid it with the correct color thus giving a slightly two-toned appearance. I like it. I colored her with Copics then masked her while I airbrushed the background, also with Copics. 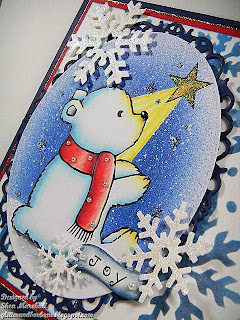 Some clear glitter on the littls stars and snow, and some gold glitter on the big star added a nice note of sparkle. I splattered some thinned white acrylic paint to mimic falling snow, once again masking the image. 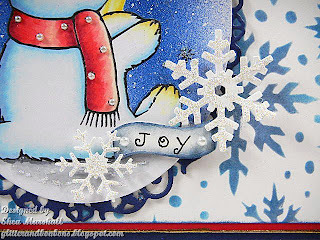 The diecut snowflakes have been glittered up, and I hand wrote the word "JOY" on the tiny banner and added a couple of pearls. Pearls also decorate the little bear's winter scarf. A different angle to try to show the sparkle and dimension. I also stenciled the inside a little bit. Thank you so much for joining me today and I wish you a lovely Saturday doing the things YOU want to do, be it crafting, spending time with the family, or both! And don't forget to visit us at A Gem of a Challenge and play along! 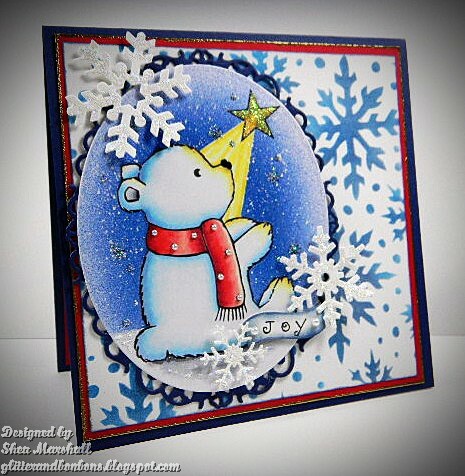 So cute and full of amazing detail! Wow Shea this is amazing I love the adorable Image and you have made the night sky look awesome! Sorry it's been a while since I visited your lovely blog! So sweet! Very pretty,love your inking and airbrushing so much! 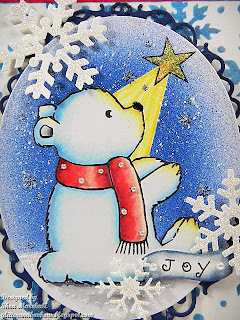 Adorable, love the ray of light shining on the bear. Thanks for playing along with the Anything Goes challenge over at the Simon Says Stamp Wednesday Challenge Blog this week!